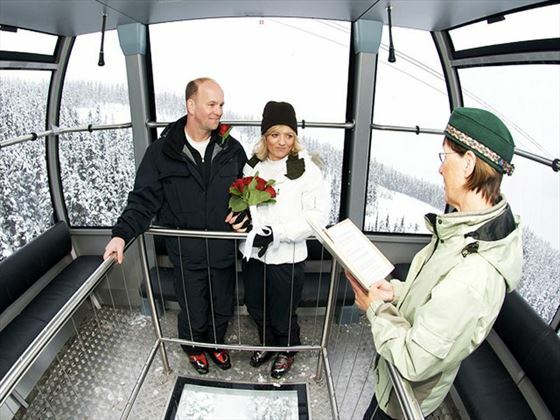 A wedding on the Peak 2 Peak cannot be beat … your own private gondola and you are married within the 12 minute trip across, or a ceremony at the Inukshuk is a beautiful way to celebrate your new journey together and the friendship and love you share. 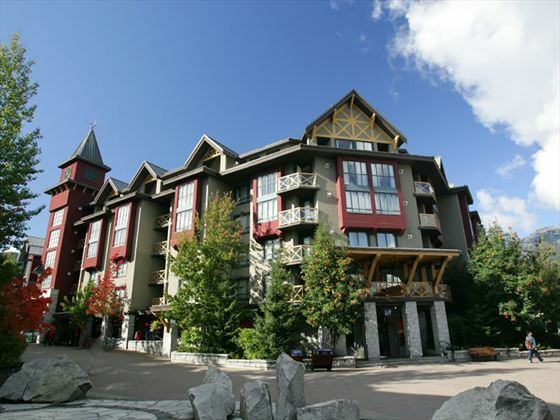 The mountains of Whistler and Blackcomb are the perfect site for winter or early summer celebration. A gondola ride to the alpine, enjoying spectacular vistas of the mountains and Village below. The coastal range mountains are visible from all around. 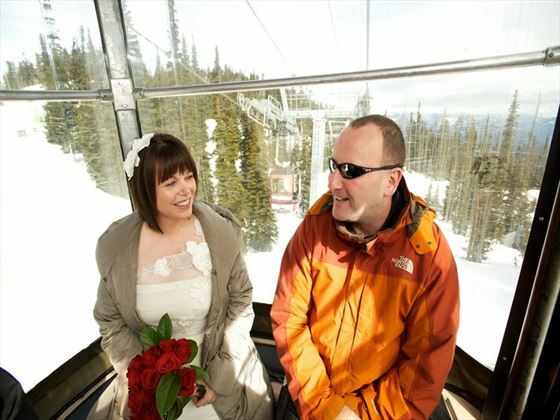 A wedding on the Peak 2 Peak Gondola cannot be beat, your own private gondola and you are married within the 12 minute trip across the peaks, or choose to have your ceremony at the Whistler Inukshuk, a beautiful way to celebrate your new journey together and the friendship and love you share – Inukshuk is a symbol of new journeys and friendship. 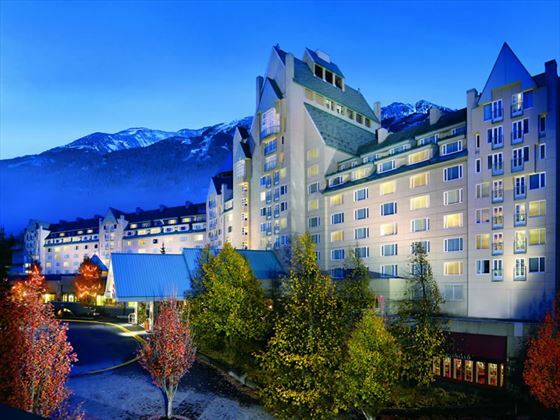 This iconic statue is the Whistler Mountain Inukshuk, created for Whistler as a symbol of the 2010 Winter Olympic Games in British Columbia. Weddings performed Monday through Friday. Not available from Thanksgiving until the end of November, then available till end of April. Legally you could get married the same day as you arrive! However, we recommend you have a couple of days to get used to any time change and orient yourselves. We will send you the necessary forms before you arrive in town and submit them to the Bureau for you. We will set up an appointment to take you to get your licence when you arrive. 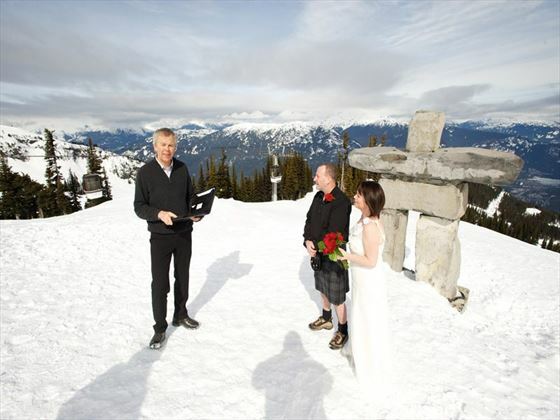 We suggest having two pair of shoes: one outdoor pair (these can be white fur boots or any type of shoe which are easy to walk on snow with) and an indoor pair which can be worn for photographs, ceremony, reception etc. 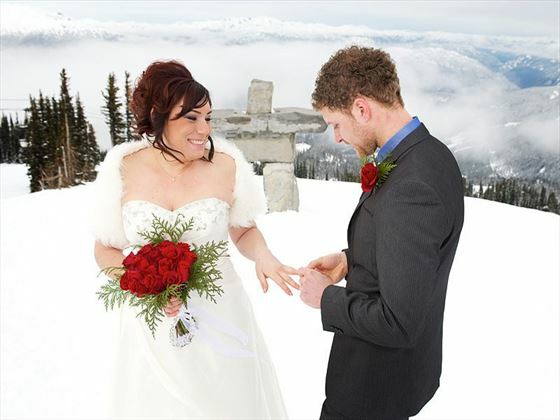 We suggest bringing a fur cape or wrap if you are planning to do an outdoor ceremony or photographs outdoors. 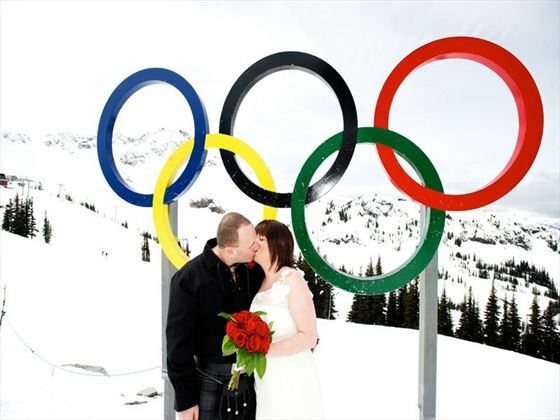 Alternatively you can wear a winter coat and remove it for the ceremony or photographs. We also suggest bringing some gloves. During all seasons mountain weather is known for its unpredictability we always suggest checking the weather forecast prior to arrival to check the current weather trends so your guests can dress accordingly. 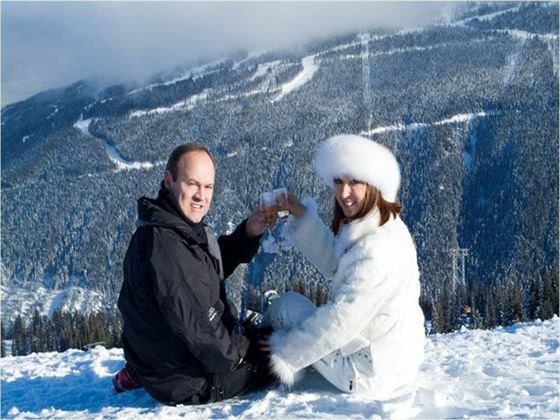 We suggest having two pair of shoes one outdoor pair (these can be white fur boots or any type of show that are easy to walk on snow) and an indoor pair which can be worn for photographs, ceremony, reception etc. 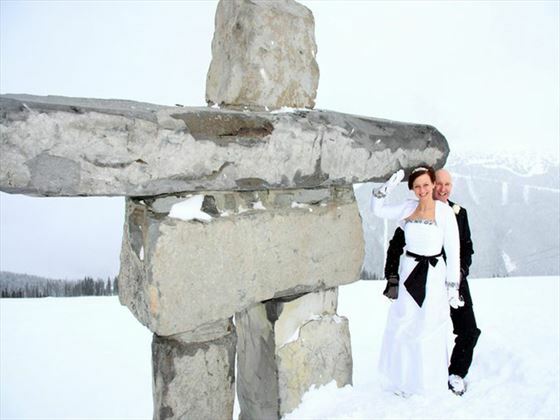 We suggest bringing a fur cape or wrap if you are planning to do an outdoor ceremony or photographs outdoors. Alternatively you can wear a winter coat and remove it for the ceremony or photographs. We also suggest bringing some gloves. During all seasons mountain weather is known for its unpredictability we always suggest checking the weather forecast prior to arrival to check the current weather trends so your guests can dress accordingly. 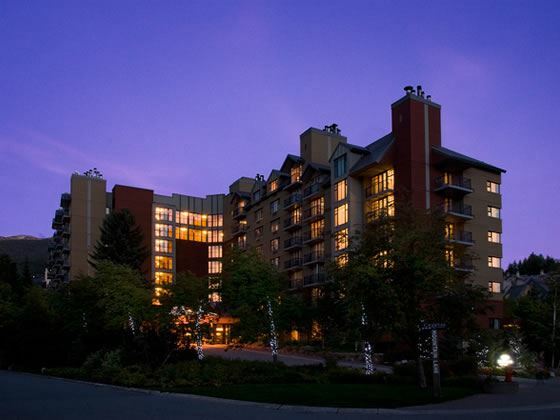 These are three of our favourite hotels in Whistler which are ideal for a wedding or honeymoon, but there are plenty of other great options available to choose from - please call us for details. 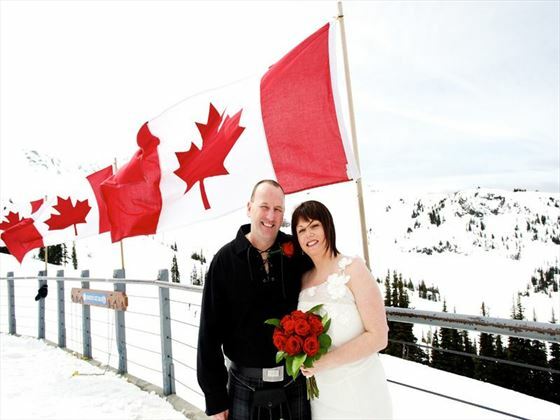 Why book your Whistler Wedding with Canadian Sky?